The Lagos State Police Command have arrested a 38-year-old for producing and distributing fake alcoholic drinks. Emmanuel Nwodu was arrested along Mosalashi market, Sango, Agege with two cartons of alcoholic drinks suspected to be adulterated. On interrogation, the suspect confessed that he produces the drinks in his one-room shop at Mosalashi market, Agege. A search warrant was executed and the following items were recovered therein: two 30 litres of chemical, suspected to be ethanol; two cartons of Elders Aromatic Schnapps, suspected to be fake; fifty one (51) small bottles of Chelsea dry gin, suspected to be fake; thirty-five (35) pieces of Chelsea cork; five(5) labels of Lords, Chelsea and Elders alcoholic drinks. The suspect was charged to court on Wednesday. 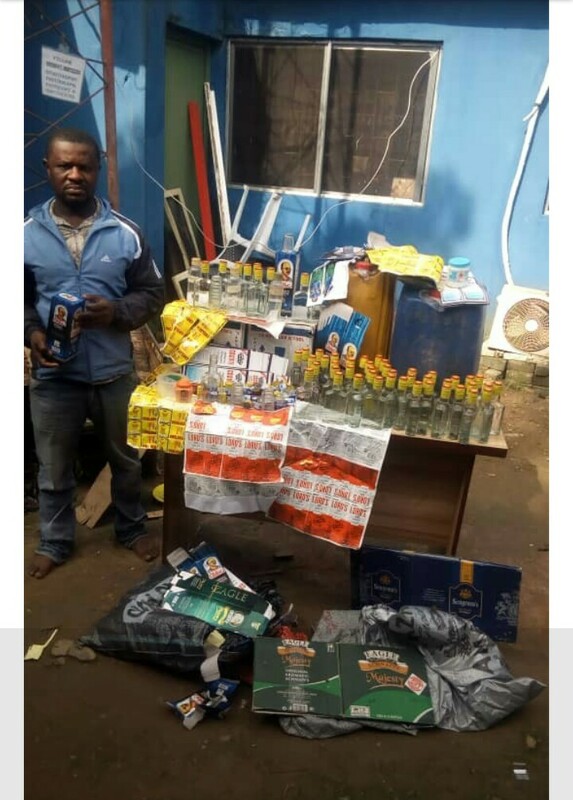 On April 3, 2018, at Ajuwon market, Mushin, the Command arrested and prosecuted a 55-year-old trader, Benjamin Ojukwu, for producing and distributing fake wine and alcoholic drinks. Also, on April 11, 2018, the Commissioner of a police, CP Edgal Imohimi, arrested the owners of an illegal brewery, valued at over N120 million, where fake stout and malt drinks were produced at Igbogbo Bayeku area of Ikorodu.